While the initial motivation for wearing masks to the Carnevale di Venezia (Carnival of Venice) is still in dispute, there is no question the two are now synonymous. 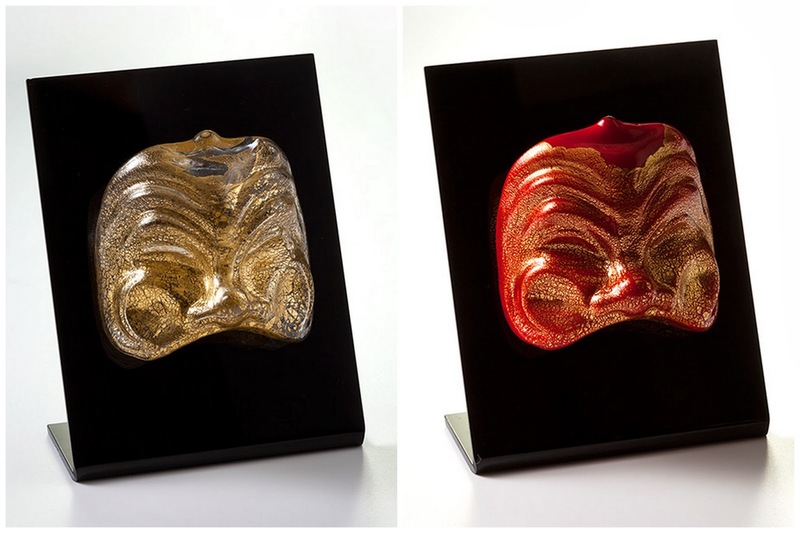 New to our collection, our gorgeous Murano glass masks, finished with 24k gold leaf and mounted on a sleek black acrylic stand, are a way to celebrate and commemorate this grand festival, which ends tomorrow! Click here to see all of our authentic Murano glass items.